Blacksburg happenings, the Shadowbox and a new gallery! On Friday Nov. 12th Blacksburg-based artist and musician Maya Renfro (Ike As In Dwight) will be opening her newest studio show entitled Future Projections of Individuation. The exhibit will take place at the Armory Gallery at 201 Draper Rd NW. Running for a full week until the 19th Maya’s work will feature prints, projections, soundscapes amongst other forms of expression. The opening will take place at 5pm on Friday and refreshments will be provided. Right down the road from the Armory Gallery that same Friday (11/12) Roanoke nu-grass outfit Grass Monkey will be a Blacksburg venue favorite, Gillie’s. Starting at 10pm and going til midnight the boys will stand alone as the sole performers for the evening on College Ave. A perfect opportunity to head down to a great restaurant and have some incredible food, drinks and a listen to an extended repertoire from a great Roanoke group. On Saturday Nov. 13th the Shadowbox microcinema located on Kirk Ave. in downtown Roanoke partners with the O. Winston Link Museum to bring you the “Photo Throwdown”. The idea of the event is somewhat comparable to a poetry slam, photographers showing their work have only a few minutes to provide insight on their pieces. The photographer to get the best crowd response wins! Contestants must submit hi-res digital copies of their work to be projected on the Shadowbox’s screen and must be in attendance. To register or if there are any questions about the event send an email to Leah Gardner before the event. Following the throwdown will be silent film classic Buster Keaton’s “The General”, providing musical accompaniment will be Lenny Marcus with drummer Larry Scott. This event starts at 7pm! That same Saturday just a block or two over on Luck Ave. is the opening of a brand new studio/ gallery. The Unicorn Stables Project is a studio ran by a trio of Hollins graduates turned Roanokers geared towards promoting and encouraging young and emerging artists. The project’s method of promoting the arts/ artists is through shows, events and installations! The opening celebration will start at 8pm featuring various works by Cameron Niedermayer, Tif Robinette, Amanda Agricola and Julia Schneider. Music will be provided by DJ Kimchi! 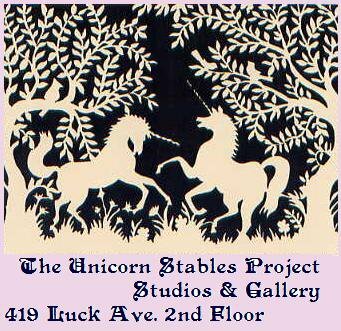 For any additional questions email The Unicorn Stables Project. Send off the warm weather and sunshine in this last full week of Summer the right way, by getting out and seeing some awesome shows, films and plays! Starting out the week is a new event taking place twice a month at Studio Roanoke. The Guerrilla Playhouse will feature one-act plays and bands following with a set of their own. Music meets the dramatic arts on the 2nd and 4th Sunday of every month at 8pm. 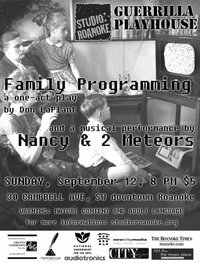 This Sunday (9/12) will feature a one-act play written and directed by Don LaPlant entitled “Family Programming”. Performing the event will be Nancy & 2 Meteors. Starting at 8pm the event will cost only $5! Continuing the week on to Monday is the Shadowbox’s showing of “Pari”. Iranian filmmaker, Dariush Mehrjuei gives us his adaption of the J.D. Salinger novel Franny & Zooey. 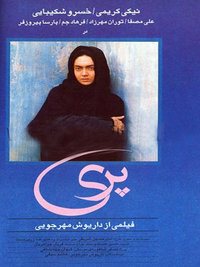 The film is based around three brothers and one sister confronting the issues of art and religion in contemporary Iran. This is an interesting and rare opportunity for fans of the late Salinger to see this film adaptation of his beloved novel. The film starts at 8pm on Monday. Be sure to make it down for at least one of these days, it should be a blast! 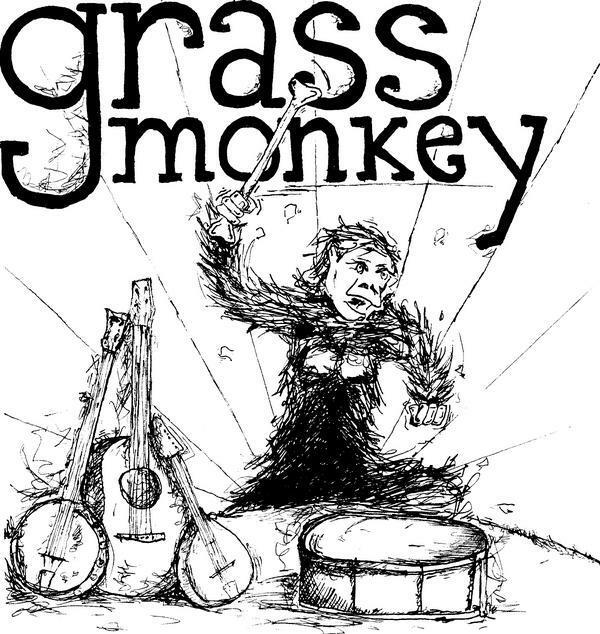 Also on Friday local Roanoke nu-grass group, Grass Monkey will be recording a live album at Blue 5 downtown. The group invites you all to come out to drink, holler and shout. Who knows maybe you might just hear yourself out their in the crowd somewhere when you pick up the CD. This drunken evening starts at 9pm, bring a DD. Add just one more event to your Friday (9/18) in this last weekend of Summer by heading over to the Bazaar for a night of folk and stories. Magic Twig Community folk orchestra the Missionaries will be sharing a set with Missionaries member Jamie Booker’s long overdue folk project, Strange Birds. All 10 of the Missionaries will be playing to both their own tunes and the songs of Strange Birds. Opening will be ever so amazing Another Roadside Attraction. 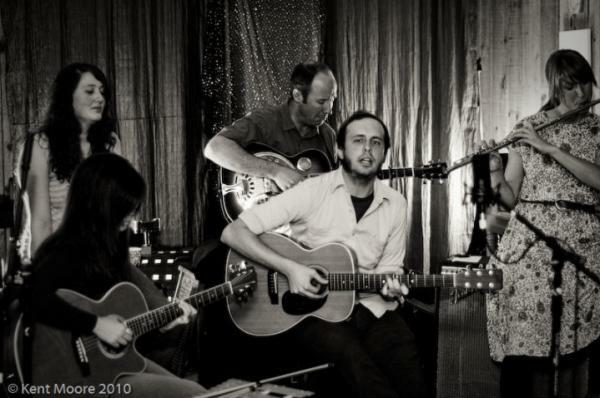 Come early to catch them in all their singing saw, ukulele, guitarron, beautiful harmonies, and kazoo glory! A great way to end the summer! Starting at 9pm on Friday this show is only $3!!! Ending our post about the demise of Summer is something a bit cliche, a post about Eternal Summers! The Magic Twig Community duo releases their first full-length entitled “Silver” via Kanine Records on September 28th and have big plans for this month. During the last week of September Eternal Summers will spend a week on the road with Jenny & Johnny, a project headed by Jenny Lewis of Rilo Kiley and Jonathan Rice. 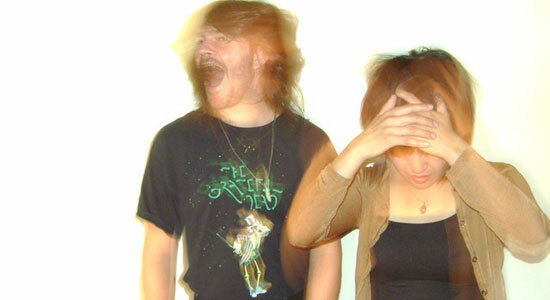 Both two-somes will be touring the South together all the way to Texas. Wish them luck by heading out to Floyd, VA this Thursday (9/16) to catch the Summers opening for Stephaniesid down at the Sun Music Hall/ Dogtown Roadhouse. The show starts at 7pm. The Fever To Sing Schedule! 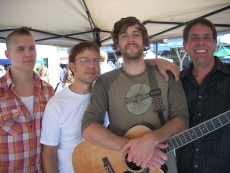 If you didn’t see our post last week on the Blacksburg music fest, you can click here for more info. Also remember tonight’s show at the Bazaar, and shows this weekend at the Water Heater and Happy’s, which we’ll elaborate on in tomorrow’s Weekend Post. Go support your local scene! 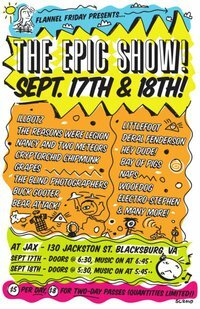 This weekend kicks off Fever To Sing, a DIY Blacksburg music festival that has been active since 2005. Many of Roanoke’s best local acts and musicians will be playing this year, so be sure to head over if you can make it! The kind of media attention Virginia Tech and Blacksburg has been getting over the past couple of years is NOT all there is to this area, we’d like to be known as a peaceful and positive fun arts destination. 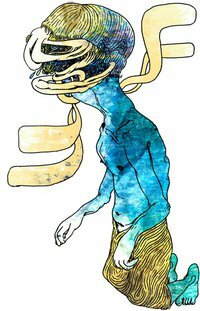 We’d like to promote underground arts and music in the area, the quality kind of work that never gets enough attention due to lack of exposure by linking them and giving them opportunities to network with established nationally touring bands who will also be playing the festival. For the Festival Schedule, click here.